Love your layering of the photos and the movement throughout the page. The clusters are so beautiful and the perfect compliment! 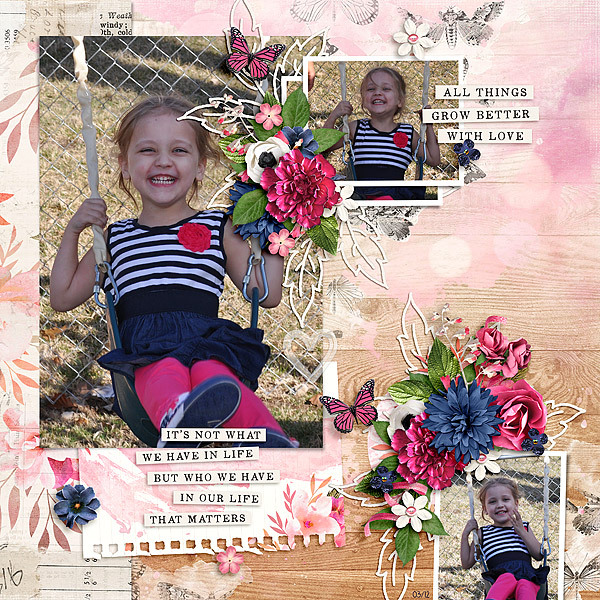 Beautiful clusters and love the cute smiling pics!